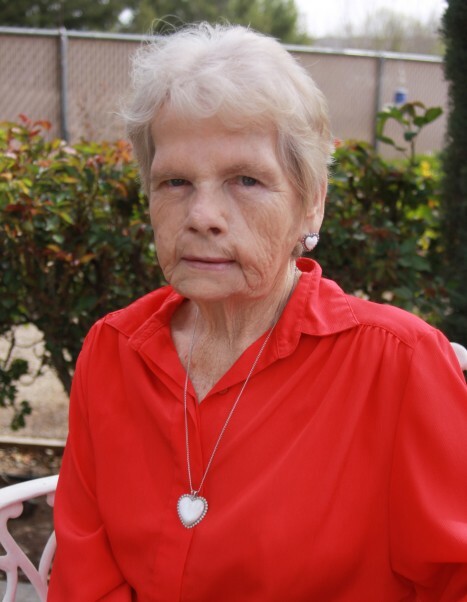 Maurine Openshaw McDonald Etzel passed away August 10, 2018 in Washington, Utah. She was born April 7, 1933 in Kaysville, Utah to Lillian Jane & Joseph Howard Openshaw. She was raised and educated in Kaysville. She married Loren Bertram McDonald January 9, 1953. He passed away in April 1968 leaving her a widow for 14 years. After a fairy tale courtship, she married Richard Etzel Oct 6, 1981. She worked at Hill Air Force Base during the Cuban Missile Crisis. She told stories of being in the war room with generals gathered around, looking at maps on the floor, discussing logistics, and being sworn to secrecy. She worried about her family because she was confined to the base during this time. She had many great experiences. Prior to her retirement from Hill Air Force Base she worked for the Kansas Legislature where she worked in the offices of Bob Dole. She enjoyed 34 years of fun and adventures with Richard, including rock hounding. They belonged to the University Gem and Mineral Club. She was past president of the Color Country Ramblers RV Club. She Is survived by 5 children; Randy (Bethann) McDonald Washington UT, Terry Etzel (Karen Tallman) Tucson AZ, Bob (Megan) Etzel Lawrence KS, Mary Ann (Steve) Marshall Topeka KS, and Therese Hopkins Blue Springs MO, Sister Carol Partain Bountiful UT, 19 Grandchildren, and 20 Great Grandchildren. She is preceded in death by her daughter Debbie (Greg) Arroyo Missouri City TX and grandson Todd Etzel, sisters Velma Hallman, Norma Joy, and LaVerne. Funeral services will be held Wednesday August 15, 11am at Hughes Mortuary, 1037 E 700 S, St George, UT with a viewing 10 to 10:45am. A viewing will be held Tuesday August 14 from 6 to 7pm at the mortuary. Interment will be Thursday, Aug 16, 2018 at 1:00 pm at Kaysville City Cemetery, Kaysville UT. Funeral arrangements are under the direction of her son Randy McDonald and Hughes Mortuary.